Transfer from Sofia Airport is one of ours main transport activities. Reserve online Your transfer from Sofia Airport to your hotel or any destination within the city for 13 EUR for a car /1 – 3 passengers/. Our drivers will meet You or Your guests (easier with name-plate/ and will transport You to the location You previously pointed. Call us – especially when You have lot of luggage, because the possibility a taxi-cabs to contain it are minimal /taxi-cabs usually can take only one big suitcase, because of a big gas reservoir in the back of the car/. There is a real possibility that You can catch a taxi-cab that can charge You 7~8 leva/km. In that case the transfer could cost You 100 leva. The choice is Yours. Those are the transfers to the main Bulgarian winter resorts – Bansko, Borovets and Pamporovo. The distances – to Bansko are 160 km, time to travel is approximately 3 hours; to Borovets are 70 km, time to travel is approximately 1 hour and 20 minutes; to Pamporovo are 230 km, time to travel is approximately 3 hours and 30 minutes. Definitely the exact timing of the travel depends on road (trafficjam) and weather conditions. Below You can see the prices for the transfers. Transfer to our Black sea resorts: transfer to Varna – distance is 450 km, travel takes approximately 6 hours; transfer to Bourgas – distance is 400 km, travel takes approximately 4 hours and 30 minutes or 5 hours. We offer transfers to any of the seaside resorts. 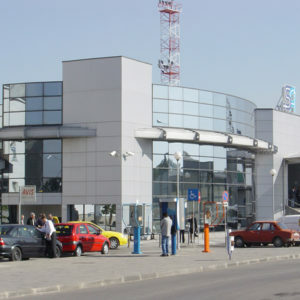 Transfers Sofia – Plovdiv, Sandanski, Hissar and any place in Bulgaria. We can transfer You to any city or resort in Bulgaria, any place. You wish to visit, as a transfer back to Sofia Airport. Just order Your transfer online, call us on an indicated phones or give us an e-mail. And now You can see the prices to main destinations in Bulgaria. If You have any questions regarding a travel within Bulgaria, do not hesitate to ask us. Waiting for you in Bulgaria!